I know it seems hard sometimes but remember one thing. Through every dark night, there's a bright day after that. So no matter how hard it get, stick your chest out, keep ya head up and handle it. Don’t be too hard on yourself picture/image is an Inspirational Stuff to Inspire and Motivate You. You can download pics by just clicking on the Images. Thanks for visiting Truth Follower an online place for huge collection of inspiring pictures, quotation, and Sayings Images. 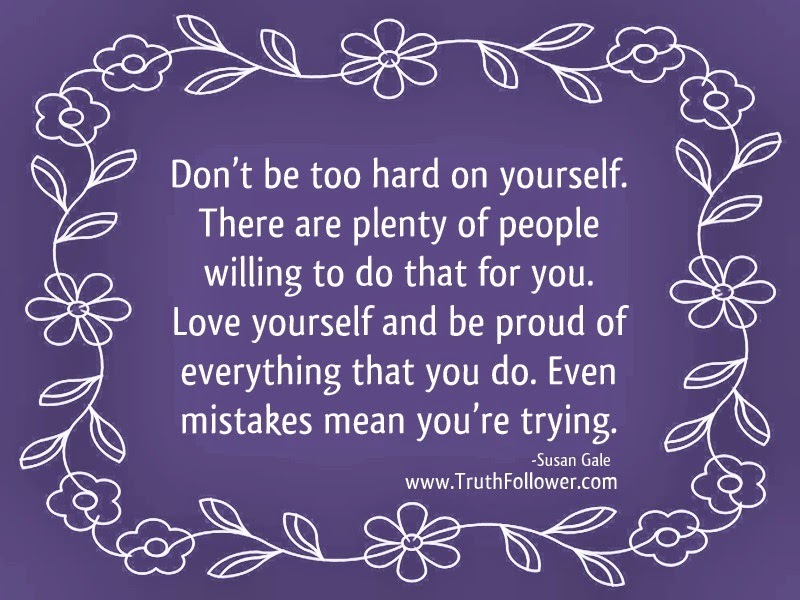 If you like Don’t be too hard on yourself, Please Share with friends and family on Facebook, Twitter, and Pinterest.